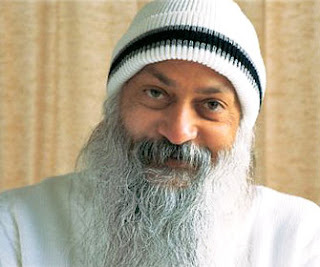 Osho: my beloved spiritual master, previously known as Bhagwan Shree Rajneesh, was born on 11 December 1931 (9.10.3) with Sun in Sagittarius, Moon in Capricorn and Ascendant in Gemini, and Moon conjunct Saturn. This was indeed for me one of the greatest man I can think and feel of. I am most honoured to have had the chance of operating as his press agent in Italy during the last two years of his life. Since his childhood he emerged as a most rebellious and free spirit, stressing the importance of searching for truth through direct experience rather than borrowing it from consensus reality or others. “Experience life in all possible ways” he says “- good-bad, bitter-sweet, dark-light, summer-winter. Experience all the dualities. Don’t be afraid of experience, because the more experience you have, the more mature you become." Throughout all his life Osho focused on developing tools for human expansion of awareness and for bridging the zone between ordinary and multidimensional reality. He read copiously to broaden his understanding of human belief systems and in his countless speeches dealt with every aspect of life. 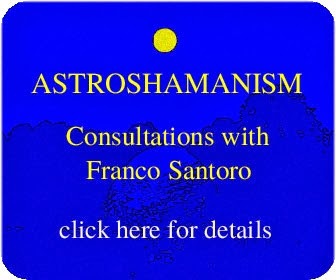 His talks have been published in more than 600 volumes and translated in over 30 languages. Osho also employed a large variety of jokes, funny stories and controversial statements to sneak through consensus reality. Laughter played a major role in his work (http://www.osho.com/Topics/TopicsEng/MysticRose.htm) as well as cathartic and release. It is through Osho that I deepened my awareness of the power of the second stage. The transcription on his Samadhi reads: Osho Never Born - Never Died. Only visited this planet earth between December 11, 1931 - January 19, 1990. Osho is no longer is a HAC body to shed light on the mysteries surrounding his life. The heart is always right - if there's a question of choosing between the mind and the heart - because mind is a creation of the society. It has been educated. You have been given it by the society, not by existence. The heart is unpolluted. I have seen lovers promising each other that they will love each other forever and forever. And not knowing anything about the next moment! If they are a little alert, they will say: “It feels in this moment, it is a truth of this moment....”That is why lovers always prove to be deceivers to each other. In the end they think they have been cheated. They have both promised things which they cannot deliver.